The FLUX 32 Channel video recorder gives you ample room for expansion without the high price of most 32 channel DVRs. The FX-XVR832 5-in-1 video recorder provides 32 channels of up to 1080p recording from analog cameras and supports 4 additional IP cameras up to 5MP @15fps. 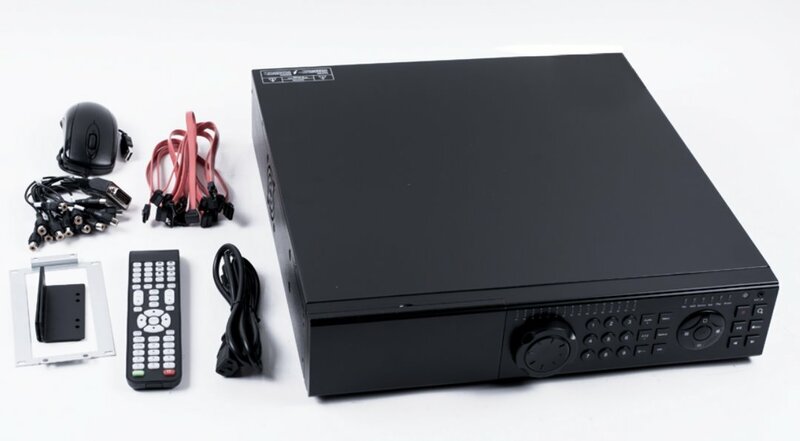 The multi HD format ability along with the simplest and easiest to use GUI makes the FLUX line of DVRs a very popular choice among professional installers and all end users. The FX-XVR832 provides 1 HDMI, 1 VGA and 1 analog BNC video output and 16 channel simultaneously playback. Mobile device live view and playback can be setup using simple QR code scanning or manually by IP/Domain, also features convenient push notification of alarm or motion detection events. Full remote DVR control is available through Internet Explorer browser or the FLUX CMS software. Recording can be set to continuous, motion detection, alarm or any combination. Independent channel configuration for brightness, color and contrast as well as recording quality to suit various situations. Dimensions 16.9” x 17.7” x 3.5”(WxDxH) / 22 lbs.